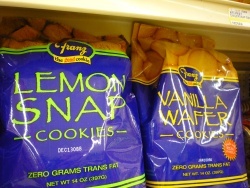 Pictured at right is a pair of cookie products we spotted at a local Top Food and Drug outlet. 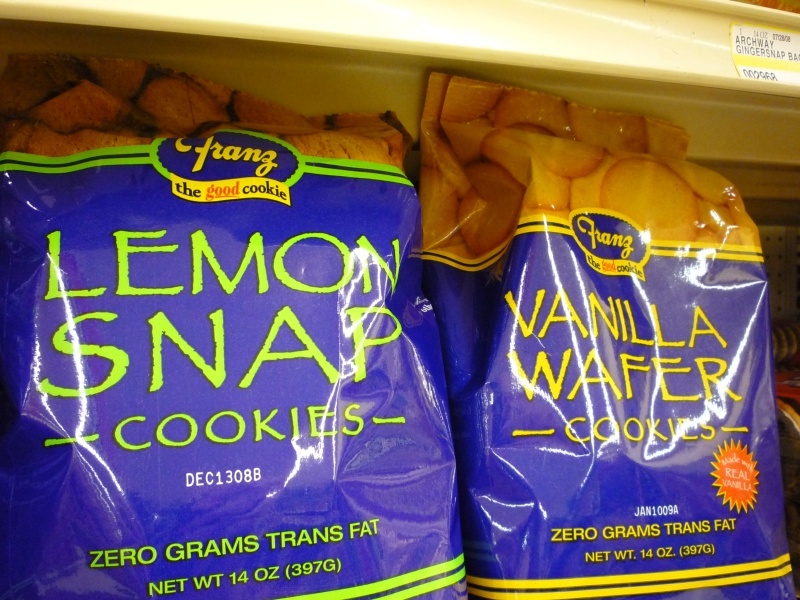 These Franz Lemon Snaps and Vanilla wafers are lousy with Papyrus. I really think the usage of Papyrus makes these cookies super-classy, don’t you? 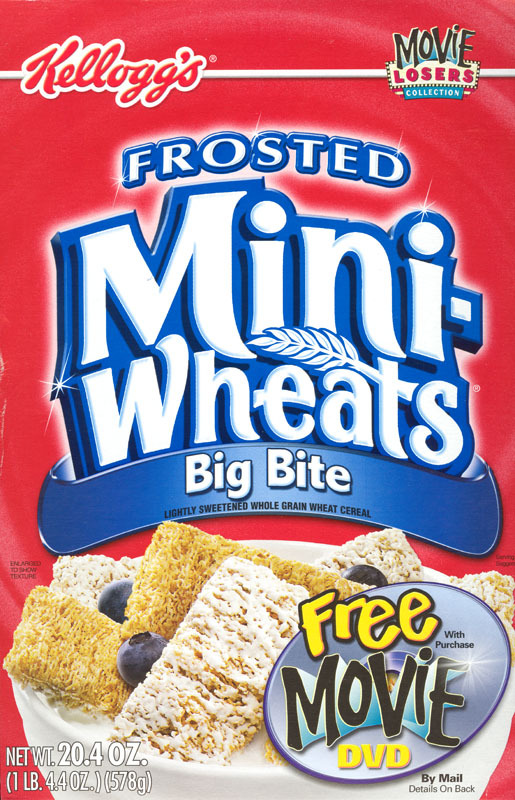 I mean, what about “written on ancient parchment” doesn’t say “delicious snack” to you? 2 Comments on "Welcome to The Papyrus Virus!" How is papyrus any worse than lithos, for pete’s sakes? 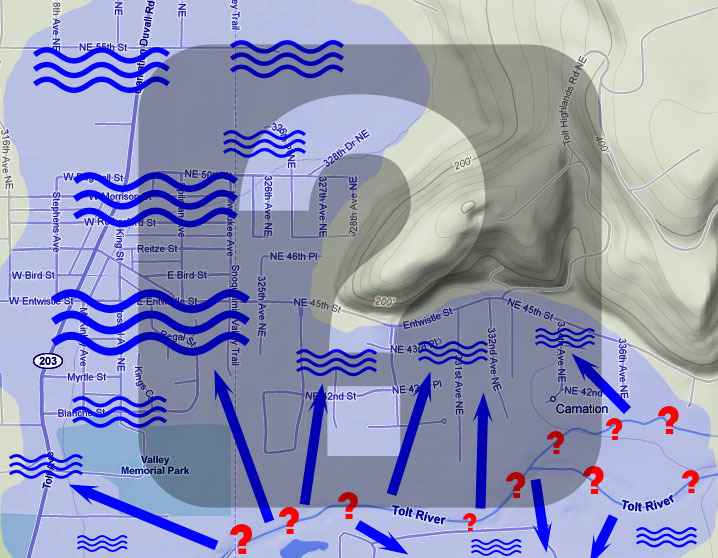 As flood waters began to recede Thursday on the Snoqualmie and Tolt rivers in east King County, baffled scientists are attempting to understand the strange unpredictable phenomenon that caused hundreds of thousands of dollars in damage to area residents.